According to the Global Wellness Institute’s 2017 Global Wellness Economy Monitor, from 2013 to 2015, Hotel/Resort spas were the fastest-growing category among all spa types, due to the emerging global middle class and a growing interest in experiential travel. 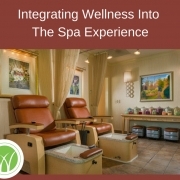 Spas are intended to be sensory havens, beyond the basic element of touch inherent in treatments, and this can’t be forgotten in the design, decor and sensory appeal of the facility. COMO Shambhala spas around the world all carry their signature Invigorate products, scented with a blend of eucalyptus, lavender, peppermint, and geranium, and these products are also used as amenities in guest rooms. Langham Hotel’s Chuan Spas each feature a signature Moon Gate entrance, and elements of Traditional Chinese Medicine are used throughout the spas, including customizable lighting in treatment rooms which are programmed based on the results of a client intake questionnaire, making the experience much more personalized. Effective air ventilation, soundproofing, and thoughtful design and furnishings will heighten the relaxation response of the guest before they even enter the treatment room. Facility amenities including saunas, steam rooms, cold plunges and whirlpools, experience showers, and zero-gravity loungers, while not inexpensive to create and operate, provide an array of options that attract guests to the spa, and don’t have an attached labor cost. For example, the Spa Wave table by German manufacturer Gharieni offers heat, gentle vibration and a binaural sound wave system, experienced through a headset, which provides deep relaxation in a matter of minutes, without a therapist. The table can be used for typical spa treatment, but the guest can pay an additional fee to linger and enjoy these features. The Ame Spa at Turnberry Isle in Aventura, FL recently installed a cryotherapy capsule, which delivers a blast of ice-cold air in a 3-minute period, intended to boost metabolism and energy, improve circulation and relieve pain. Floatation therapy, either in a capsule or purpose-built shallow pool, calms brain waves by removing the senses of light, sound and gravity, and can be experienced at the Agua Serena Spa at the Hyatt Regency Indian Wells, CA. The ultimate in integrating facility and design with wellness practices may be the new Six Senses Bhutan, which will be comprised of five separate lodges across the kingdom, each designed around one of the five pillars of Bhutan’s Gross National Happiness Index, and intended to be enjoyed as a circuit experience. Spring is upon us and summer is around the corner. Which means that your staff will probably be looking to take some vacation time. While everyone deserves a vacation , it can be hard to look at empty treatment rooms. Planning ahead can help you to manage the vacation season so that the spa still operates smoothly and clients can be serviced. First of all, does your spa even offer vacation or PTO (paid time off) benefit? Back in the “old days,” beauty therapists never received any paid vacation, but with the modernization of compensation plans, we are seeing much more of this. In fact, PTO is the second-most desired benefit to spa staff, after health insurance, and it is not all that difficult or expensive to offer. Let’s say you have an esthetician who books $1500 in revenue per week, and she is earning about 1/3 of that or $500 per week. You can offer her two weeks of paid vacation every year, and the cost to you will be about one percent of her revenue production. In other words, not expensive as far as benefits go. If your staff receives a more aggressive pay plan, you can still likely offer one week paid vacation for a little less than one percent of their personal revenue production. If you are in the dark ages of high commission rates – you probably can’t do anything, and that’s a different conversation. We know that working in a spa, while enjoyable, is still hard work. Your beauty therapists are giving, giving, giving to their clients all day, it’s a very “on stage” kind of work. They really do need some downtime; whether they take it all at once or in a couple of long weekends, it is something they should be encouraged to do. Everyone needs to recharge their batteries. However, when you don’t have a therapist column available to book, that causes a decrease in revenue for your spa, unless you are lucky enough to have a substitute therapist arrangement. So the spa has to focus on ensuring there are available therapists, and that cash flow is not negatively impacted by paying for vacation time with money you did not receive. How long do they have to be employed to receive the benefit? Does the benefit renew on a calendar year or date of hire? Can the time off be pro-rated; i.e. can a 5-day per week staff member take 2 days off half-way through the year? It is generally advised that PTO not be rolled over into the next year, and not be exchanged for money. Especially in a wellness-based industry, we WANT the staff to take the vacation. There should be some restrictions so that the business is not negatively impacted; for instance, your entire esthetics staff cannot take vacation at the same time. Depending on the size and arrangement of your staff, you should set expectations that no more than one or two people can be out at the same time. Do consider developing a group of reliable substitute staff; this is a good option especially for massage. When you interview a potential candidate that you like but do not have a position for, you can offer them work on an occasional, substitute basis, like filling in for vacation or taking a shift for a current staff member who has a conflict. It’s a great way to get to know someone before making an employment commitment, plus it provides a revenue option for the missing technician. Do you need help creating a solid plan for staff vacations? Contact us for a free consultation. What’s Your Biggest Spa Organizational Issue For 2018? What’s your biggest organizational issue? But we’re talking bigger, deeper, wider organization. We’re talking processes, procedures, protocols, etc., all of those words that “organized” people use. If you’re someone whose ears slam shut when you hear those terms, we’re probably talking to you! Because really, you want your business to run smoothly, right? You want your staff to know the “rules,” and not have to stop to ask you questions all day. You want your clients treated with the utmost in care and respect at all times. You want to have a good reputation in your marketplace, so you can continue to attract new staff, as well as customers. And those things don’t happen by accident. They happen for businesses who have systems and structure, businesses that are, in a word, organized. In an office that’s open from 9-5, M-F, it’s easier to set aside some time for “busy work” such as end-of-the-year cleanouts and reorganization of supplies. You can stay an hour later one night, or come in an hour early one morning. We can do that in the spa also, but it’s a lot more difficult, especially as spas are often open six and even seven days a week, and the days are long. Some spas are open as many as 70 hours per week, and when the spa is open, there are hopefully clients there, making it difficult to tackle behind the scenes tasks. These days, most every spa has it. But many still don’t use it to its full advantage or are not even aware of many of the built-in capabilities of their systems. There may be existing solutions to some of your pressing problems, like tracking staff vacation requests, or professional inventory supplies, and certainly client files and marketing efforts. Yes, there is no time to take tutorials and learn, but really, are you getting your money’s worth from your system? In the spa, strangely, when the business is at its most busy, no employees can be seen. Customer service, yes, but everyone else is tucked away in their treatment area working on-on-one with a client. This doesn’t make it easy to work together; you can’t lean into your fellow employee’s cubicle and share information, or work collaboratively. So this slows things down. Since revenue-producing space is at a premium in the spa environment, there is not typically a lot of back-of-house space available. Some front desks don’t even have the luxury of a back counter for storage of retail supplies or pending sales, and many spa owners share their office space with the laundry. While this makes it very difficult to get organized, it also makes it even more imperative that we do so; with lack of resources, everything should have an assigned place. Whether you are talking about your desk, a closet or the whole office, start to put things in categories. If one pile is too big, break it into sub-categories. Toss whatever is outdated, no longer useful information, duplicate material or broken electronics. Keep the basics: a work table, filing drawers, a cabinet or closet for supplies, bookshelves, and maybe one whiteboard or bulletin board. When you are left with what you use, start to arrange the workspace into functional areas: equipment & supplies, filing, Action items (to do, to read, to call, to send), and put things where you naturally use them. Use bins or containers that you already have or purchase ones that are the right size for what you need. Lillard website and books share a wealth of advice, and you can follow her on Twitter at @DebbieLillard. So don’t be shy, wade in and get started. The new year is 10 days old already! https://wynnebusiness.com/wp-content/uploads/2019/02/Wynne-Business-Logo-Header.png 0 0 lstarr@wynnebusiness.com https://wynnebusiness.com/wp-content/uploads/2019/02/Wynne-Business-Logo-Header.png lstarr@wynnebusiness.com2018-01-15 07:32:302018-01-15 07:32:30What's Your Biggest Spa Organizational Issue For 2018? Spas know that retailing is an important component of revenue generation, and yet many still struggle to reach hoped-for results. Who’s responsible for driving retail sales in your spa? Management? Therapists? Support Staff? Product Companies? It’s actually all of the above. While spas consider product sales to be less important than the main spa focus of selling treatments, the business of retailing is a major industry globally. China is currently the second largest retail market in the world. All of these excellent results, however, do not happen by accident. Achieving a healthy retail to service sales ratio is the result of focused efforts by all of the stakeholders, working together to create a compelling retail environment. As with many initiatives, effective retailing starts at the top. Successful spa retailers carry a selection of products from retail partners that are in keeping with the vision and mission of the spa brand, and that are priced appropriately for the target customer. Innovative spas will also look beyond the typical beauty brands for retail items that can drive sales as well as margin. 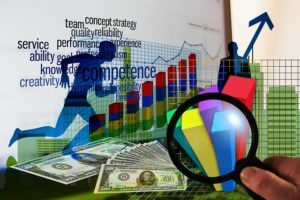 But the most impactful action management can take is to be purposeful in hiring and training staff who can create rapport with guests, and in creating compensation and advancement plans for therapists which include retailing benchmarks as part of the career path. Without a doubt, therapists play the biggest role in retailing to spa guests. As the uniformed experts, their artfully presented home care suggestions, in tandem with their one-on-one interaction with the guest, will be the biggest driver of sales activity. Therapists who are well-trained on the spa’s products and ingredients can weave suggestions into their service routine in a seamless way, which does not feel as pushy to the guest as a rushed effort at the service conclusion, or a list of products pushed into the client’s hands. Making home care recommendations MUST be part of every treatment on the spa menu. While the therapist’s personal touch is key to introducing home care to the client, in a busy and/or large spa it can be difficult for therapists to complete the sale. Clients may be heading on to another treatment or spending time using spa amenities, and by the time they check out they have forgotten about products. Well-trained support staff who can advise on usage will be effective in closing sales. The role that vendors and resource partners play in the retail chain cannot be overlooked. Effective brands will provide plenty of tools and training for all of the spa staff, on a regular basis. Supporting activities including inventory planning, sampling, retail support tools and marketing collaterals will certainly help the spa to be more successful. 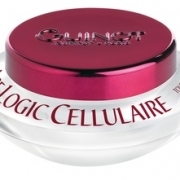 The global personal care product market is estimated to total $1.5 trillion annually. 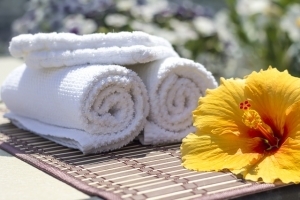 Your clients are purchasing home care products from somewhere, it might as well be your spa! Are you struggling with retailing at your spa? Our team can help. Contact us to schedule a complimentary 30-minute needs assessment. A version of this post appeared first on spachina.com. Do you ever wish you had more information that would help you to solve a problem? Do you ever wonder whether you are the only one experiencing a particular challenge? As the spa business model continues to evolve, you may be presented with operational challenges that you don’t know how to approach. But, as usual, if you are near a computer, inspiration is on the way. Check out www.30secondMBA.com, brought to us by the folks at Fast Company magazine. This website consists of video interviews with a variety of business-world movers and shakers on an array of issues, and they each last, you guessed it, 30 seconds or less. The videos are organized by topics such as leadership, employee management, customer relationships, innovation, communication, and more, and the “professors” include luminaries like Mark Zuckerberg, CEO of Facebook, Tony Hsieh of Zappos.com, Jay Adelson, CEO of Digg, and many more. The older I get, the more New Year’s Day reminds me of the movie Groundhog Day; I can’t believe it’s here again, already! 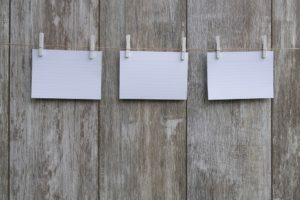 The fact is, the more quickly the years tick by, the more urgency you may have as a business owner to avoid procrastinating in regards to your spa business. 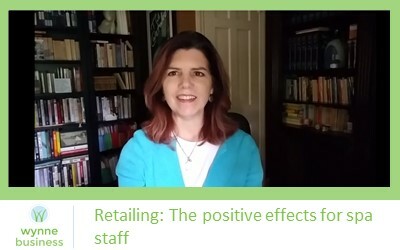 Join us on February 22 at 9am Pacific/ Noon Eastern for our next live webinar, Secrets of Retention and Retail for Treatment Professionals. Spa therapists are not always comfortable with recommending retail products, and even those that are sometimes strike the wrong note. This session will help service providers and their supervisors understand how to boost confidence and income with new strategies, skills and and tactics. Find out how effective home care recommendation, an approach that honors the guest experience, can actually improve guest satisfaction. For only $99, you can join our live webinar as well as receive a copy of the recorded session to keep. Join us on Tuesday, January 18, for our first management webinar of the New Year, Spa Business Planning Made Easy. Planning is one of the most misunderstood business processes, and one of the most essential. Yet most plans don’t survive more than a few months. 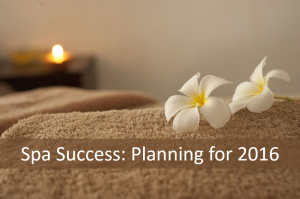 If your spa doesn’t yet have a 2011 Strategic Plan in place, you’re not alone, and it’s not too late to create one. This session will give you a fresh understanding of the planning process, and the tools to build a simple and resilient strategic plan than can be continuously renewed, even when conditions change. Would you like to tackle the New Year with a simple, executable Strategic Plan? Would you like to have a way to move from 30,000 feet vision to tactical, practical “sea level” and back again with ease? Spend just $99 and an hour with us and gain the confidence you need to grow your company in 2011. Whether you’re a spa or a vendor, this program will ensure that you get your year off to a strong start–and that you keep moving forward toward your most important goals.